It’s about time for crowdfunding platforms to accept the friendly consumer terms and offer a money back guarantee. 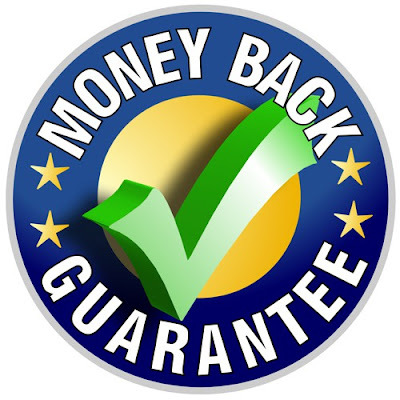 CloudAntenna offers a 30 day money back guarantee. FreeAir.tv is so sure about CloudAntenna, that the guarantee is a part of its Indiegogo campaign. Now, with 5 days left and over 150% funded, CloudAntenna offers a 30 day money back guarantee. “We are so sure that our consumers will love the ease of cutting their cable bill with our CloudAntenna, that we back our product with a 30 day money back guarantee. We are ready to redefine crowdfunding rules, and urge other companies to rise up to the challenge!” – says Vlad Kroutik, the inventor of CloudAntenna. The CloudAntenna allows you to record and watch local Live TV, powered by Android, with millions of apps from Google Play store. Welcome to the world of TV 4.0. Consumers connect to “over-the-air” free broadcast signals from major networks like ABC, CBS, NBC, Fox, The CW… and record shows, locally or to the cloud. It is just as easy as the good old VCR, but with newer features and capabilities. With TV 4.0 made available by CloudAntenna, customers can watch their shows anytime, anywhere. The CloudAntenna resides at the consumer’s home and gives them complete control over the TV shows they record and watch. Learn more about the CloudAntenna on Indiegogo at http://bit.ly/30daysmoneyback. What would you do with $1,000+ you save next year? Take another vacation! Buy yourself something nice! The CloudAntenna is the next generation! It is an Antenna combined with the power of cloud computing, to record and watch Live TV channels and seamlessly works with FreeAir.tv service and build with Android TV. If you pre-order today, you will get FREE World TV and Cloud TV service for 12 month with $240 value. Watch and record 600+ Live TV channels FREE for the next year in addition to your favorite local channels. PREORDER. CloudAntenna is available for pre-order for as little as $149 via Indiegogo. Limited availability extended till January 15, 2016.